First 5 LA’s policy and strategy team members joined with statewide First 5 leaders for the Los Angeles Area Chamber of Commerce's annual excursion to Washington, D.C. from May 21-24 to meet with lawmakers and policy leaders to advocate for improved early childhood education and health policies. Called ACCESS DC, the trip incorporated meetings and events with the Chamber and its partners, and, with support from The Raben Group, the First 5 team held its own set of policy meetings throughout the week. Read the First 5 Federal Policy Agenda here. Participating in the program from First 5 LA was Policy and Strategy Vice President Kim Pattillo Brownson, Public Policy and Government Affairs Director Peter Barth, Senior Policy Strategist Charna Martin, Strategic Partnerships Manager Jessica Monge and Government Affairs Strategist Tessa Charnofsky. The First 5 LA team was joined this year by First 5 California Executive Director Camille Maben, Whitney Staniford from First 5 California, and First 5 Association Policy Director Margot Grant Gould. Having representatives from First 5 LA, First 5 California and the Association meant that the collective First 5 voice represented the entire state, expanding their reach as they met with lawmakers outside of Los Angeles County. A joint policy agenda and appropriations letter were developed that helped guide the focus and talking points throughout the trip. The Washington, D.C. trip began with a breakfast meeting with around 25 policy leaders and advocates in the early childhood field. From partner organizations including the First Five Years Fund and the National Head Start Association to Nurse Family Partnership and Center for Law and Social Policy (CLASP), participants discussed current opportunities, how First 5s can contribute to the national dialogue and support advocacy efforts, and how our programs and the families we serve can advance early childhood policies and protect safety net programs. As part of the ACCESS DC program, Kim Pattillo Brownson moderated a panel discussion on Tuesday, May 22, focused on the President's proposed budget. Panel participants included Olivia Golden, Executive Director of the CLASP; Catherine Brown, Vice President of Education Policy at Center for American Progress (CAP); and Shannon Attanasio, Director of Government Affairs at Families USA. The speakers all highlighted how the President’s proposed budget cuts would be an historic withdrawal of investments by the federal government to the states. If even some of the proposed cuts are enacted, states would need to consider whether and how to sustain critical health, education, and social services programs – putting tremendous strain on state budgets. Meetings were held with the leaders of a number of policy organizations, including First Focus, National Women's Law Center, First Five Year's Fund and ZERO TO THREE to discuss the work of each organization and to explore in more depth how the First 5s could be helpful players in the D.C. landscape. A number of conversations included descriptions of the D.C. based coalition work that each organization supports, some of which were new to First 5s. Discussions also centered on the need to reauthorize and sustain the Maternal Infant Early Childhood Home Visiting Program (MIECHV). Peter Barth introduced U.S. Senator Kamala Harris at an evening reception, weaving into his message the importance of focusing on early childhood and family supports. The Senator was gracious in her remarks and acknowledged the critical importance of early education. 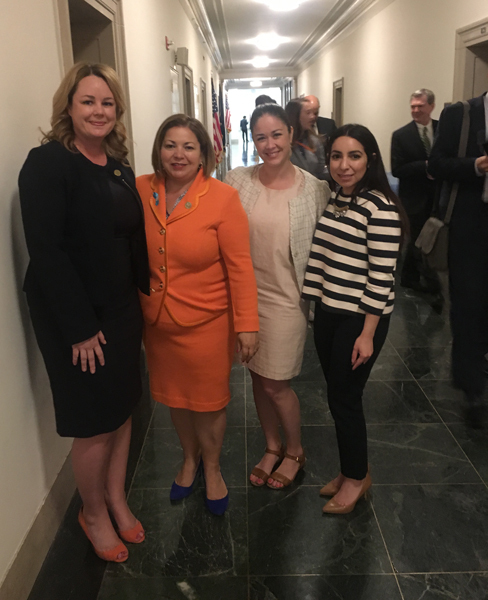 First 5 team members also met with a number of other D.C. lawmakers, including Representative Linda Sanchez (pictured above), (D-Calif), Representative Tony Cardenas (D-Calif), and Representative Mark Takano (D-Calif). Takano was asked to and agreed to join the bipartisan Early Education Pre-K Caucus. One of the advantages of coming to D.C. with the Chamber and with our First 5 partners is to build relationships with elected officials and serve as a significant partner as they build their agendas. Another important take away is the development of new, or the strengthening of old, alliances and partnerships with LA Chamber members. These relationships can be further cultivated back in Los Angeles, as First 5 LA continues to build early childhood champions. Closer to home, Pattillo Brownson and First 5 LA Senior Program Officer Debra Colman represented First 5 LA in May at Early Learning Advocacy Day in Sacramento, an event co-developed by the First 5 Association and the California Association for the Education of Young Children (CAEYC). 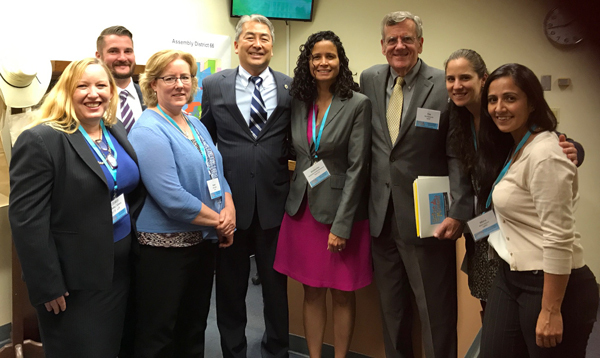 The duo met with a number of state legislators, including Assemblymember Al Muratsuchi (D-Torrance) pictured, and key staff. Their mission: to advance key ECE policy priorities beyond the Governor's May Revision, including the CA Women's Legislative Caucus ask to invest $500 million in new slots for eligible children and families, the ECE Coalition's ask to expand eligibility for the state's programs, and the proposal championed by Los Angeles County Supervisor and First 5 LA Commission Chair Sheila Kuehl to provide child care access to foster families. 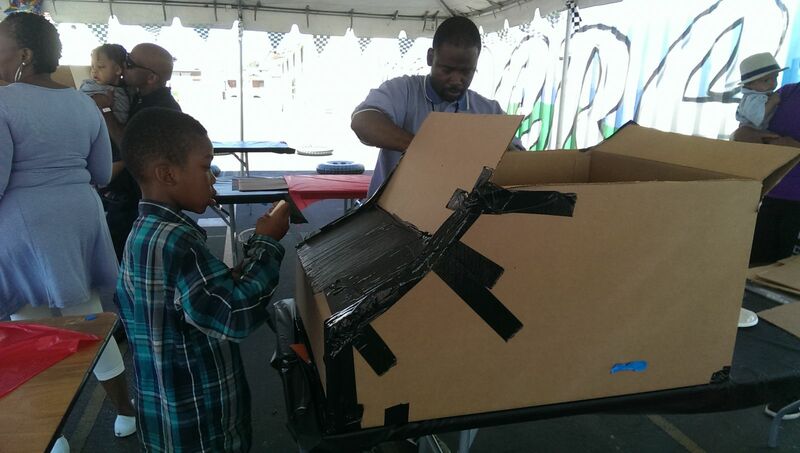 Putting the “car” in “cardboard”, dozens of young children teamed up with their dads, step-fathers and granddads over Father’s Day weekend for the Best Start West Athens 1st Annual Fathers’ Day Cardboard Car Show at Woodcrest Elementary School in Los Angeles. Check out the photos below of the creative, colorful designs made from arts and crafts materials by the next generation of Detroit’s automotive engineers! First 5 LA program officer Christine Tran and senior program officer Leticia Casillas-Sanchez attended and reported on the 10th Annual Fatherhood Solution Conference. 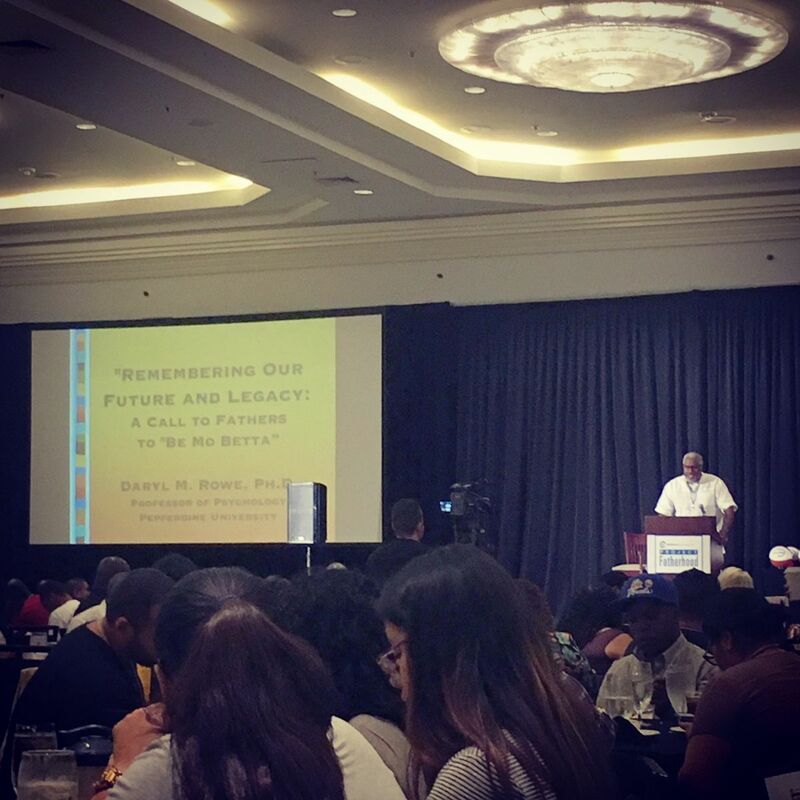 The conference, presented by Project Fatherhood at Children’s Institute, Inc. was an opportunity for attendees to learn more about fatherhood roadblocks around race, culture, masculinity and systems. Aligned with First 5 LA goals with engaging fathers and supporting systems, this conference allowed First 5 LA staff to take a deeper dive in emerging research, systemic challenges, and best practice models. Opening speakers include Jerry Tello, founder and director of training at the National Compadres Network, who talked about reclaiming honorable fatherhood from deficient narratives, particularly with fathers of color. Another opening speaker, Dan Griffin, spoke about the stereotypes that exists about fathers and unpacked the social and legislative disadvantages that fathers are subjected to. Joey Cordero of the San Francisco Fatherhood Initiative and a group of fathers who have dealt with the child welfare system have navigated the system successfully and have become advocates and leaders in the San Francisco Fatherhood Initiative. All men in the panel successfully reached reunification with their children and were able to utilize their learnings to empower other fathers in connecting with their children and understand their parental rights. This session began with statistics and landscape analysis of the barriers to father-child contact during incarceration. Some of these challenges include generational trauma faced by both parent and child, the psychological impact of children who witness the arrest of a parent, financial hardships, and even visitation difficulties such as following dress code guidelines. The session also included a panel of re-entry fathers who discussed how they were able to navigate the system to overcome these barriers and personally reconnect with their children. Gary Thompson of the Alameda County Public Health Department and Keven Bremond of First 5 Alameda are co-founders of Fathers Corps, a learning community model that trains community partners to support fathers. Along with an introduction of their program, both facilitators discussed ways they support and guide best practices for programs to build capacity in order to better connect with and serve fathers in Alameda County. LeHenry Solomon from Children’s Institute, Inc. discussed their train-the-trainer model as well as ways they have been successful at replicating Project Fatherhood at Homeboy Industries. The session consisted of a panel with participants of Project Fatherhood at Homeboy Industries. Each panelist discussed their lived experiences in confronting their addictions, incarceration, and navigating systems to survive and thrive for themselves and their families.